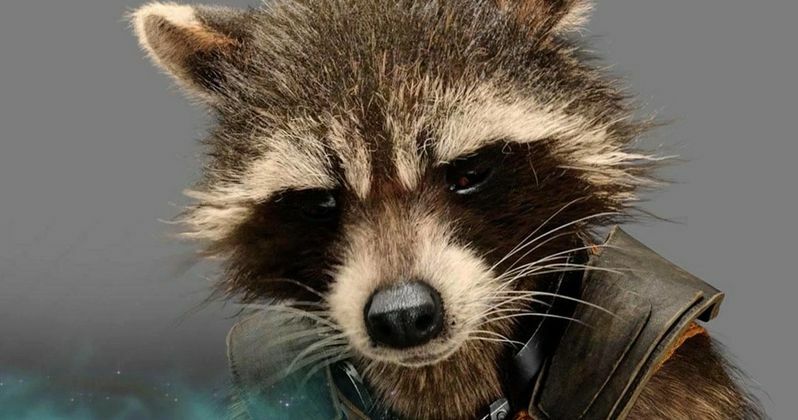 Marvel has released a fifth clip from Guardians of the Galaxy, which expands on a scene first shown in the extended preview released earlier this week. A veteran of multiple prison escapes, Rocket Raccoon (Bradley Cooper) explains to Star-Lord (Chris Pratt) and Gamora (Zoe Saldana) what he needs to break out of the Kyln prison. However, the abrupt actions of Groot (Vin Diesel) force the team to improvise and implement their plan much sooner than expected. Check out the latest scene before director James Gunn's Marvel Phase Two adventure hits theaters on August 1.